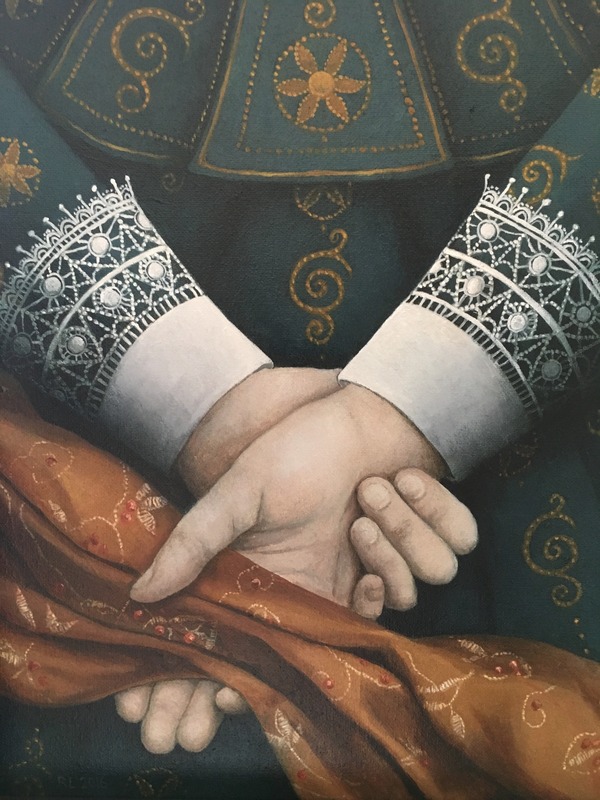 Rosalind Lyons has long been fascinated by the past; her paintings are strongly indebted to the Renaissance art of Italy and Northern Europe, Elizabethan and Jacobean portraits and influenced more recently by Shakespeare’s plays. Her practice involves the creation of an interdisciplinary dialogue, where the visual and the verbal intertwine and overlap. Ideas and thoughts meander and drift; there is a strong sense of the inherent uncertainty of Shakespeare’s plays and characters, the visual allusions to the Renaissance and Elizabethan England, to boy players playing girls playing boys, to the intricacies and extravagance of costume or the ethereal shimmer of candlelight on a white-painted face. It is the interweaving of silent words – what Harold Pinter called the ‘language locked beneath’ – and visual quotation, of echoes, of ghosts, of shadows, of something sensed rather than known – ‘that is, and is not’(Twelfth Night), the transience of performance and the illusory ambiguity of real and imagined memory. 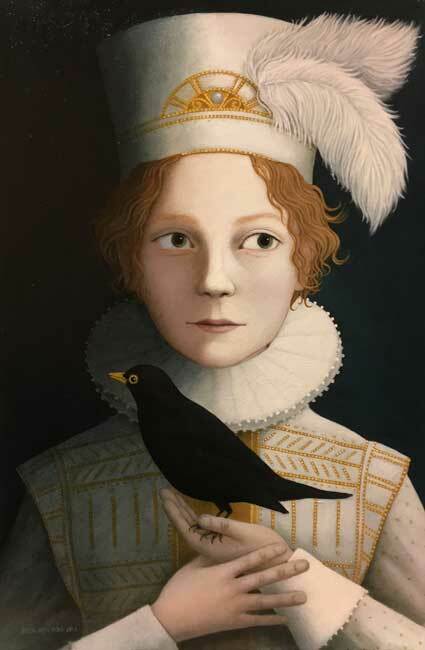 Rosalind has exhibited regularly in both solo and mixed exhibitions, including solo shows at Shakespeare’s Globe Theatre, London, and the Long Gallery at Blickling Hall in Norfolk. Rosalind gained a BA (Hons) in Visual Arts, MA in Fine Art, and has recently completed a practice-based PhD, which focused on Shakespearean theatre and involved extensive research across literature, history and performance, including a period as Artist in Residence at Shakespeare’s Globe Theatre. 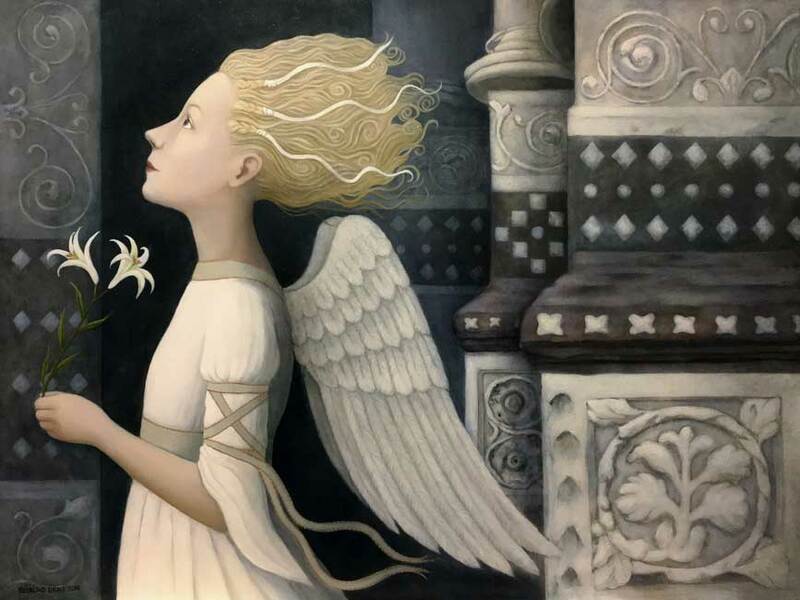 She has also worked as an illustrator of children’s books and lecturer in art and design.